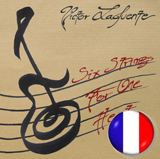 En 2015, Victor ajoute une corde à son arc en intégrant le groupe KAAST en tant que guitariste soliste. Servi par une fantastique production assurée par Loran Saulus au studio DEVEN PROD, le premier EP de KAAST jette un pavé dans la marre du rock alternatif US. After that, Victor gets into the band called « ANIMAL » playing with his leader Pascal MULOT (Patrick RONDAT) and with Lol NICO (member of the ROYAL BUBBLE ORCHESTRA now) and Doudou WEISS (Johnny HALLYDAY) with who he has scoured the Parisian and French stages during the nineties : Zénith of PARIS (first part for THE WHO), Elysée Montmartre (ANIMAL tour, first part for TM STEVENS (James Brown), Zénith of PAU (first part for SCORPIONS)… and more, all this, under the cover of an endorsement with the exceptional VIGIER Guitars. At the same time, Victor records an educational video (speed, trash and metal plans and technics) for the CONNECTION production. 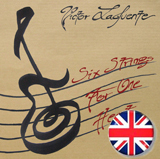 With the split of ANIMAL, Victor settled down in the South of France where he works now in many different music schools and and spend time on his personnal music project releasing his first solo album : « Six strings for one heart ». 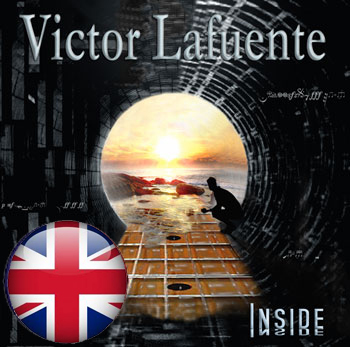 Victor plays on it an instrumental progressive fusion, mixing his influences and sensibilities trough a combination of électric and acoustic styles. 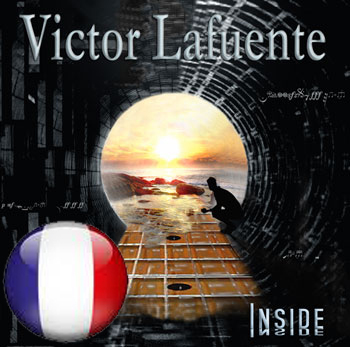 With his band « The Collectiv’ Groove », Victor transpose his music on stage during many guitar oriented festivals (in France and in Tunis). In 2015, Victor joined the band KAAST as solo guitarist. Served by a fantastic production made by Loran Saulus at studio DEVEN PROD, the first EP of KAAST rules in the alternative rock style !